Your businesses’ and your website’s security goes far beyond protecting vital information with a firewall. Hackers, cybercrime, online crime, and data theft are rapidly increasing in number, attacking numerous sites and business systems no matter how large or small. These can cause bothersome disruptions to expensive takedowns. An example of the latter is ransomware hacks wherein you’re locked out of your account until you pay a ransom. Luckily, there are ways to protect your valuable information and online assets from these modern-day thieves. By incorporating the right security choices, you’ll be able to protect your business, your site, and all your data from such attacks. It prevents malware and other viruses from being uploaded to your site. It blocks phishing emails from being sent to your site. It assures site visitors that your site is safe and secured. You’ll improve your overall rankings in Google. It protects your business’ critical data. Your website acts as a primary channel when interacting with your customers. Therefore, creating a secure website gives your customers a sense of trust and credibility each time they browse your site. Meanwhile, having an unsecured connection will always present a threat in all of your business relationships. Don’t use the same passwords for multiple accounts as these are predictable patterns for potential hackers. These online thieves are just too smart these days. That’s why you need to come up with strong passwords and a two-factor authentication, so that you can protect your data as well as your customer’s accounts. The authentication number is usually a one time code that gives users access when they log-in. It gives your site an extra layer of protection aside from using a simple username and password combination. Take note that having strong passwords and two-factor authentication are crucial log-in elements to protect your site. Remember, a weak password gives cybercriminals way to hack your entire website. Gaining full control over it again will always be an exhausting and costly process. Every single person who updates your website should have their own log-in details. Since you are the owner of the site, you’re entitled to impose different levels of access upon every log-in. Remember that a careless freelancer or employee can cause severe damage if they’re given free access to your site. That’s why you need to limit it only to the specific parts of your site that they need to work on. Doing so avoids exposing your site to various threats online. Keep in mind that manufacturers update their security safeguards every so often. You should probably sign up for these security updates that install various security patches, since cybercriminals are always on the lookout for systems that don’t have the latest safeguards. Aside from that, also check if your anti-virus program has automatic updates. This software should be in the right place to block out potential spam, as well as to detect various spyware. 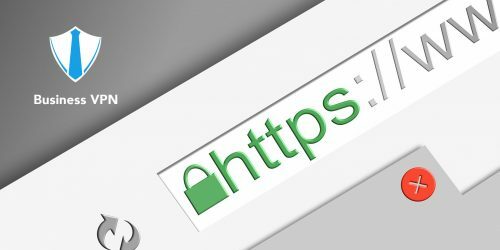 Having a secure socket layer (SSL certificate) isn’t just a feel-good element for your site users. The truth is, it secures the online connection between your users and your site. All the information that passes through your browsers and servers is securely encrypted and transmitted. As a result, it prevents hackers from taking or accessing any data that passes between the web servers and your user’s browsers. What an SSL does is it encrypts all your content and publishes it securely under the sitewide https, as compared to a less secured http. If you have outdated software, you’re more vulnerable to attacks. So, just like it’s crucial to update your computer operating system, you also need to keep your plug-ins and other add-ons in the shape. Moreover, choosing your security software is also crucial. Some check the ratings first as well as the number of downloads. Others turn to time-tested business security solutions by experienced developers, such as Business VPN by KeepSolid. Either way, you have to check that the software is updated regularly and that its features and capabilities suit your enterprise’s needs. Your site is an excellent place wherein you can sell your products and services, and present your company and brand to potential customers. When it comes to creating and maintaining your website, you need to ensure that security should be your top priority. Surprisingly, not many website users value the safety and security of their site, but Google ranks more secure websites higher so that they can give their users the best possible experience. So even if you feel like your audience will not be the ones to appreciate your security efforts, your sales will benefit from extra protection. Kenneth Sytian is the CEO of Sytian Productions a website development company in Manila. He has been designing websites and developing web apps for more than a decade. He is considered one of the top influencers in web design and development in the Philippines.